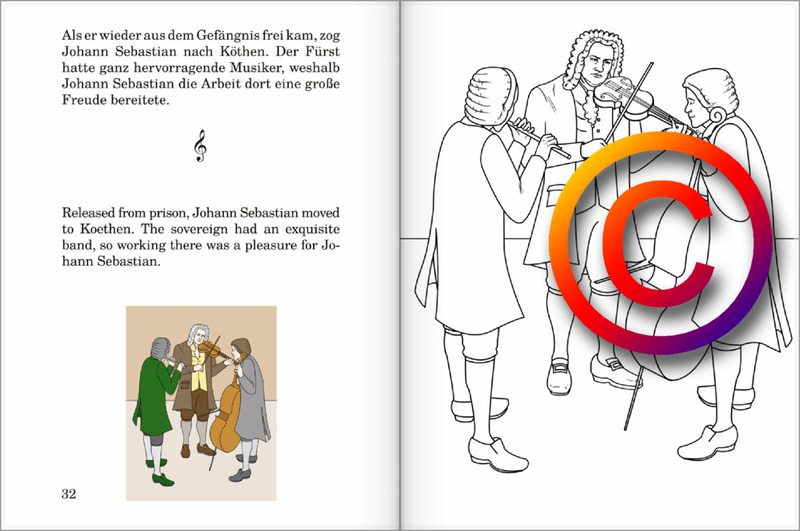 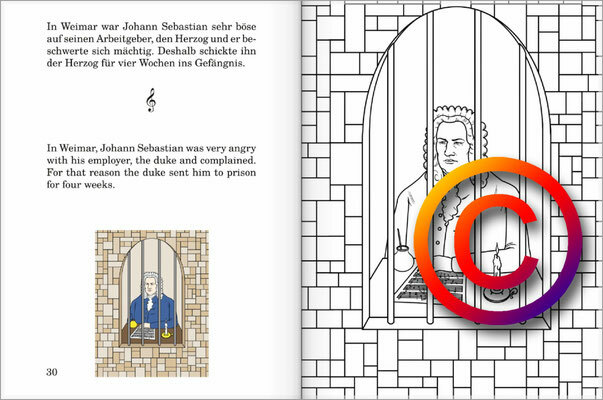 Johann Sebastian Bach's life, depicted in twenty-three drawings to be painted. 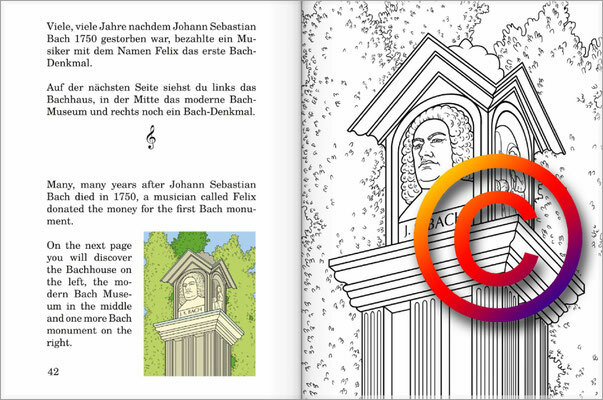 A mini biography written by Peter Bach jr., accompanies the drawings. 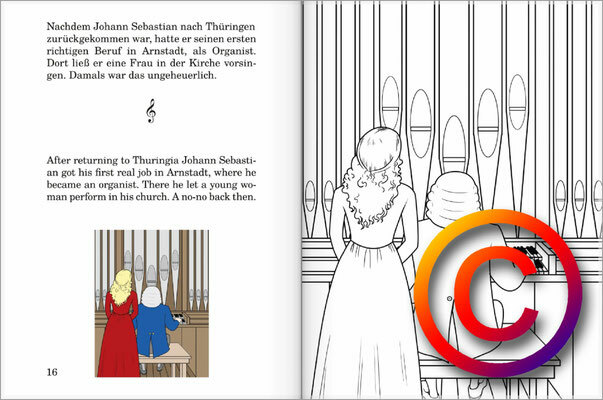 All drawings in the book are made by Briana Bach-Hertzog in the USA. 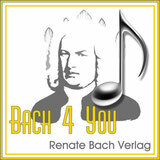 She is a second cousin nine times removed of Johann Sebastian Bach. 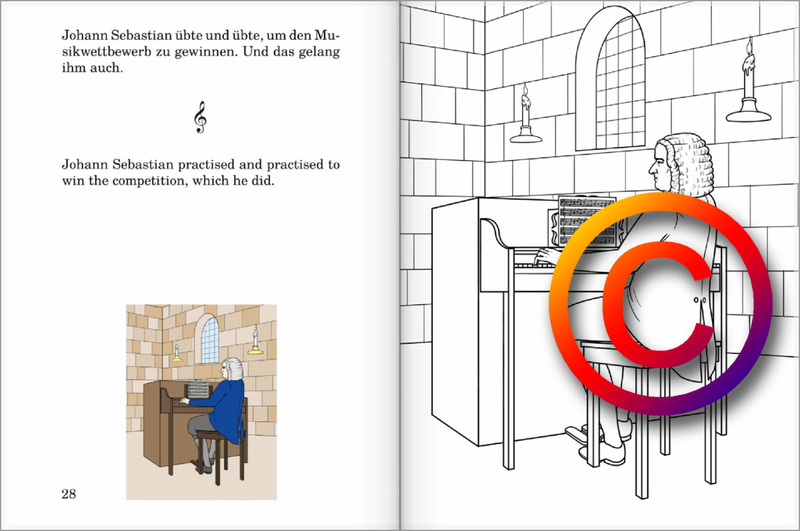 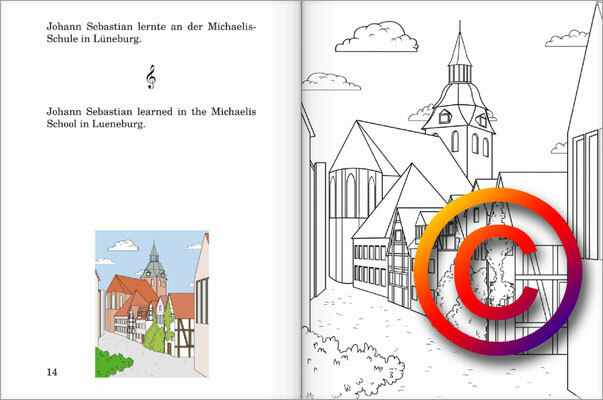 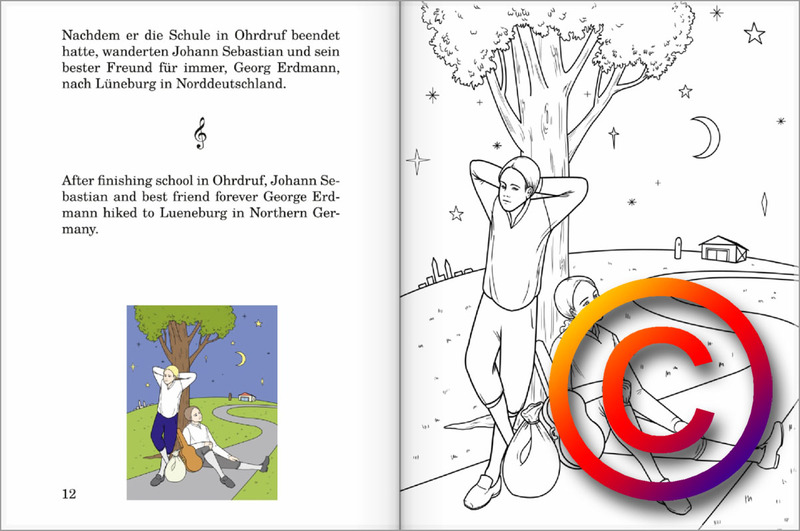 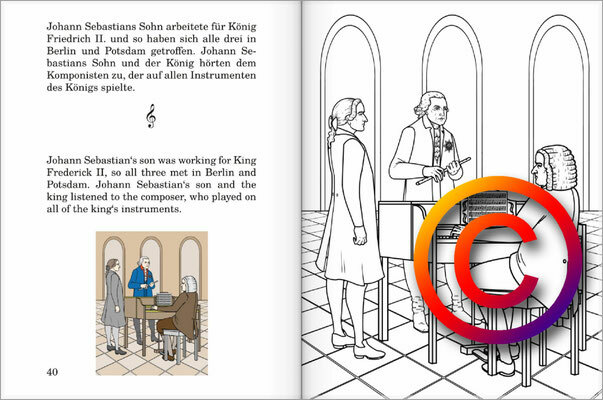 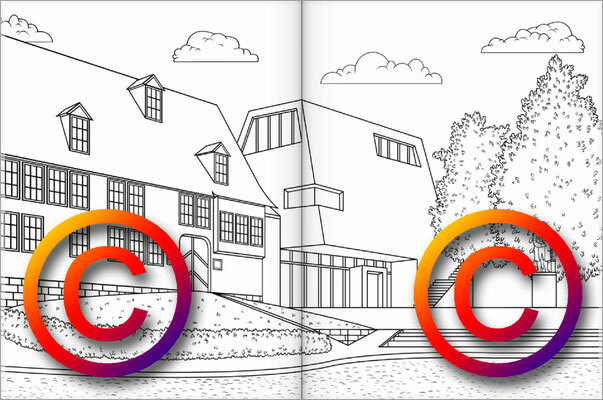 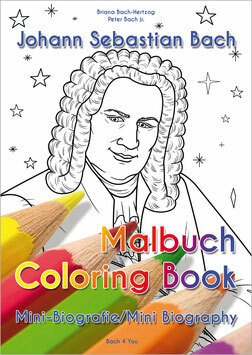 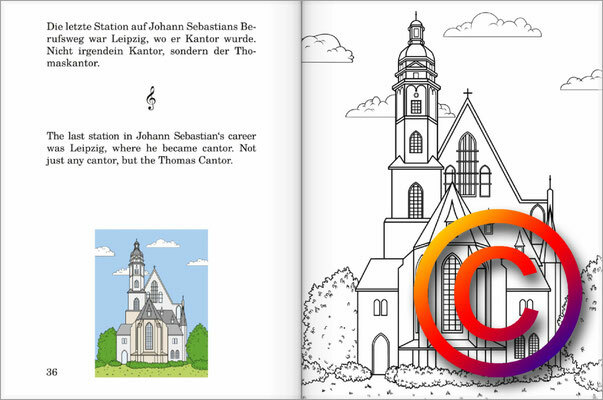 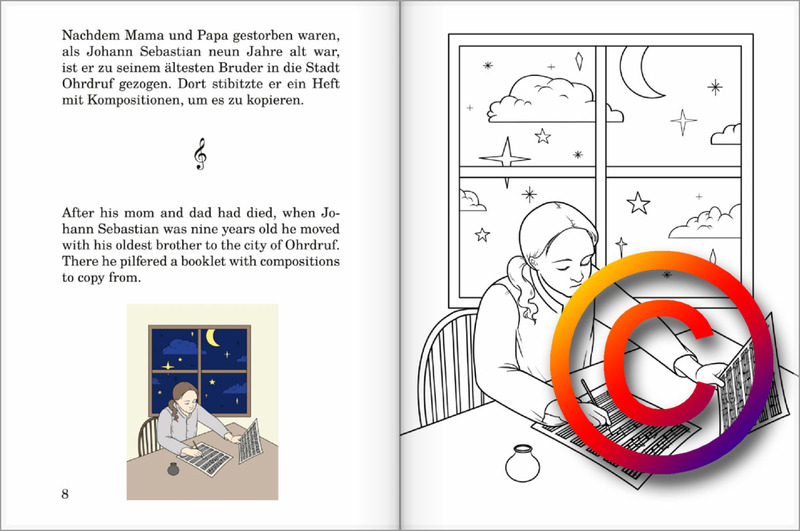 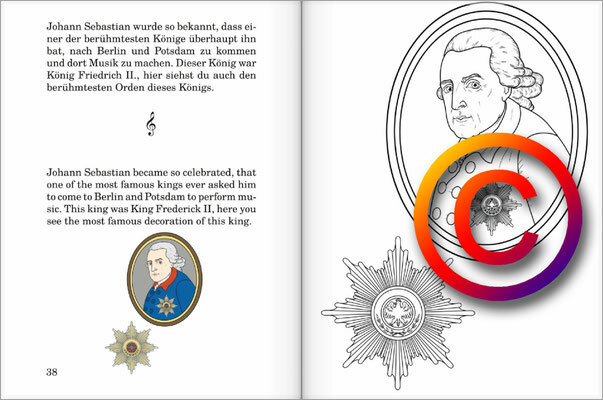 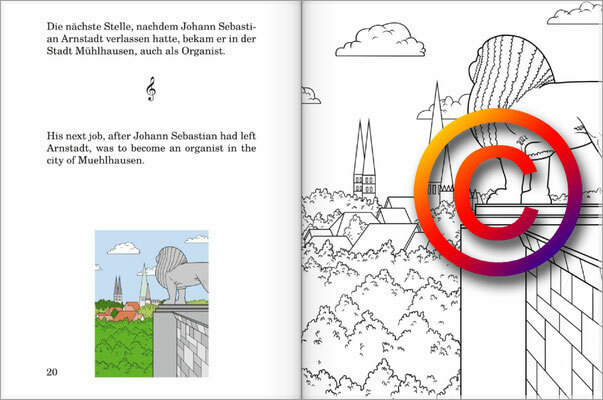 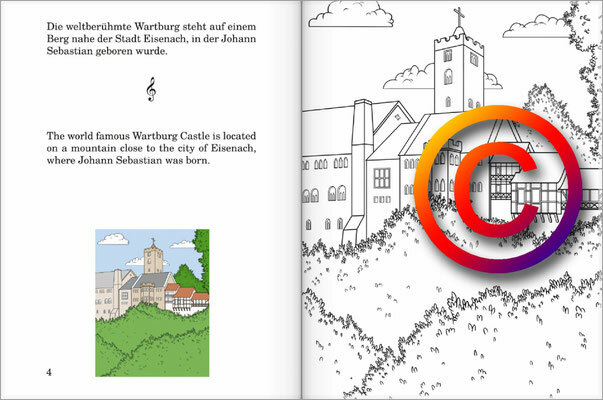 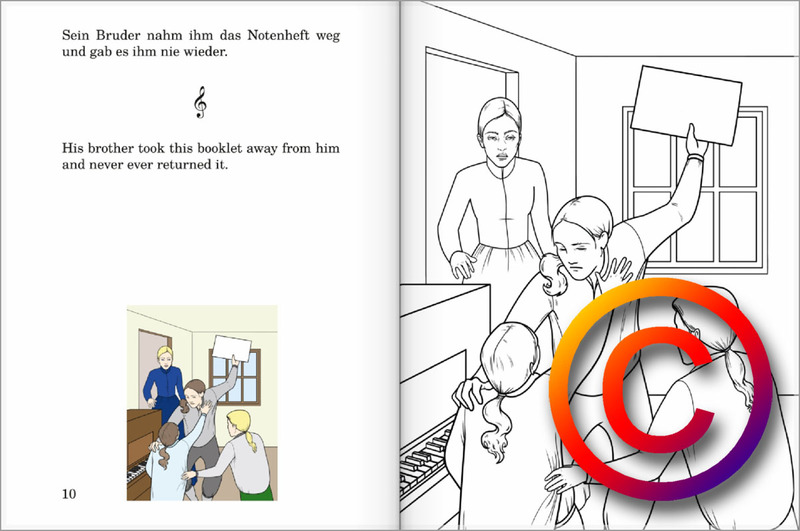 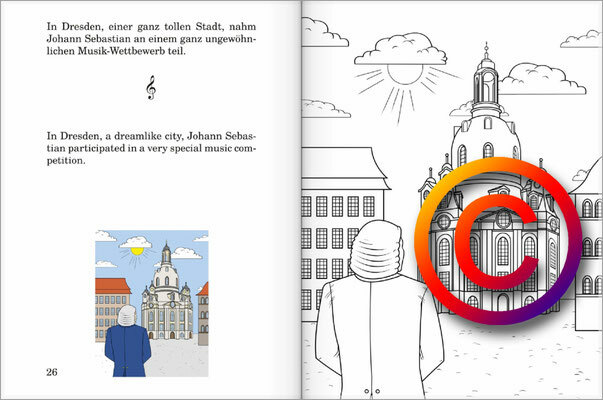 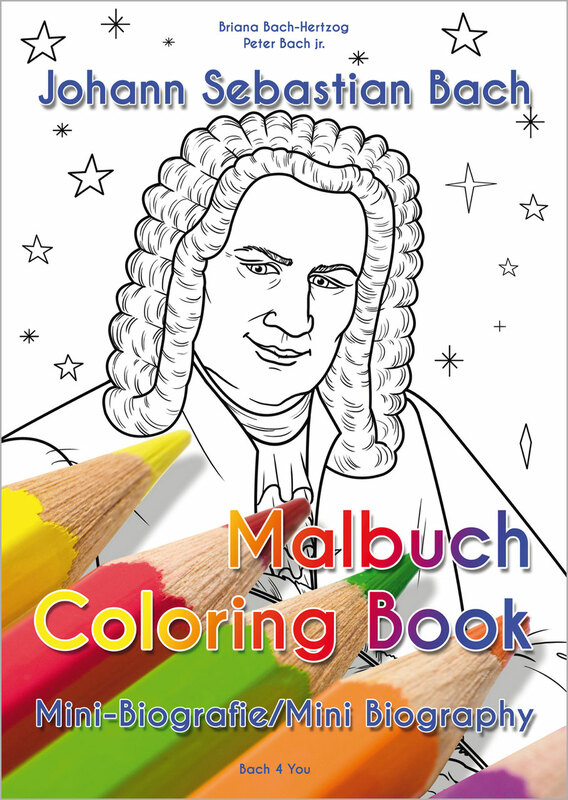 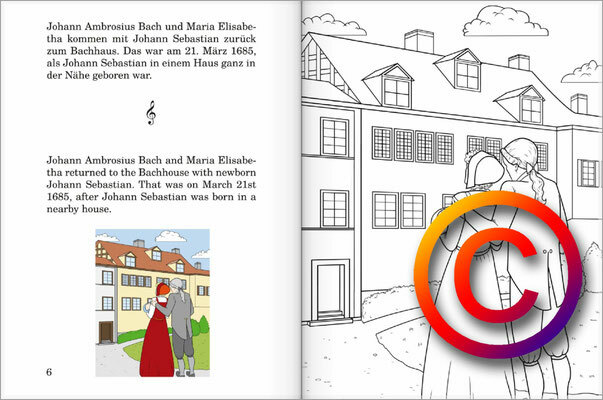 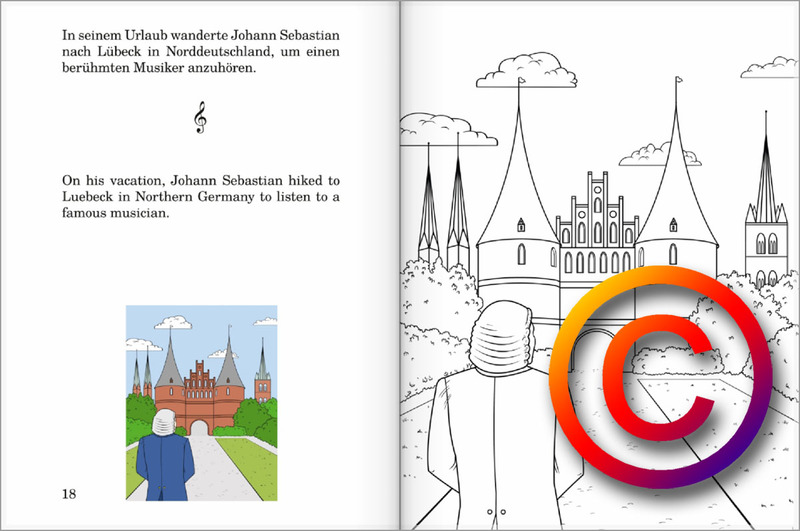 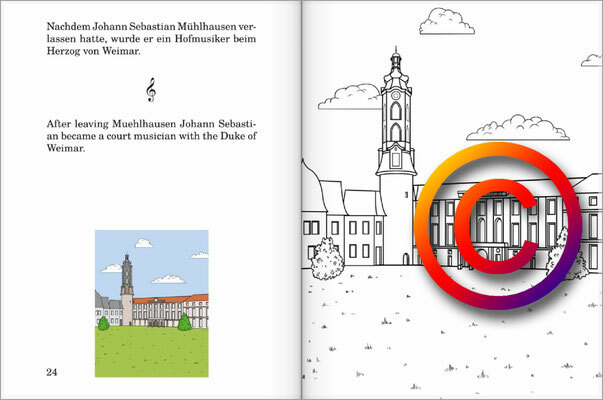 The coloring book is in two languages, German and English.